March 23, 2016 - Should Retirees Downsize Their Homes? 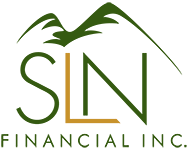 | SLN Financial, Inc.
One of the most important decisions you’ll have to make as a retiree is whether you’ll stay in your current home or move. Some people prefer to stay in their homes for financial or lifestyle reasons while others relish the opportunity to downsize or move to an entirely different area. For many people, housing is their largest category of expenses, and it pays to take a hard look at your overall living expenses and retirement income expectations as you think about where you want to live. Downsizing has some upsides to consider. If you’re an empty nester, you might have too much house for your current and future needs. Moving into a smaller place could lower your cost of living and reduce the burden of home maintenance as you age. If you’re able to make a profit on the sale of your home, you could add a tidy sum to your retirement nest egg as well as improve your future cash flow if you move into a less expensive home. Though you will want to discuss your situation with a tax professional who understands your overall finances, keep in mind that you may be able to exclude up to $250,000 in profit ($500,000 for married couples filing jointly) from the sale of your main home from capital gains taxes. Finances are just one piece of the puzzle. Retirees should also think carefully about where they want to live in retirement. Those who are concerned about aging and their future need for care might consider moving into a retirement community or an area closer to family or a support network. Houses and apartments in walkable areas close to stores and amenities can make it easier to stay in your home when driving becomes difficult. Other retirees feel attached to their homes and neighborhoods and prefer to stay in a place where they have built community ties for as long as possible. Ultimately, the decision of whether or not to move or downsize your home requires a careful analysis of your current and future needs as well as your financial situation. If you think that you might want to relocate eventually, it’s a good idea to be proactive. Moving is difficult at any stage of life and you don’t want a health crisis or other event to force your hand. Thinking ahead can help you maximize your options and make the best decision for your needs and desired retirement lifestyle.